Some iPad Pro owners who have 2017 and 2018 models have increasingly been running into issues with screen stuttering, based on a slew of threads on the Apple Support communities and the MacRumors forums. Affected users have iPad Pro models that sometimes refuse to register touch gestures, stutter when scrolling, miss keystrokes, and have other similar issues. We here at MacRumors have not been able to replicate this issue, but the sheer number of complaints suggests something may be going on with the iPad Pro's display. I bought a new 12.9" iPad pro on the first available day last Wednesday. The o, k, and to a lesser extent i and j keys on the on-screen software keyboard consistently recognized touch with a click and change in colour of the key but the letter would often not appear in any program. For o in particular, it often required several attempts to make the letter register. Spent time on the phone with apple and they didn't have a solution. A full restore to factory settings didn't help. I returned it to the store today and picked up a new 12.9" iPad pro. Brought it home and this one is worse. Ofter 5 or more presses of o or k to get it to register. When the iPad is turned clockwise to landscape mode, the q and w are then in the same region of the device and they don't work either. Seven presses of the q before a letter appeared on the screen. It seems the bottom right of the touchscreen has an issue. Newest 12.9'" iPad Pro, 1 TB/6 Gb model running iOS 12.1.3., no Screen Protector applied. Seems to occur on all areas of the screen. Screen freezes. Started cropping up just in the last few weeks, seems to be getting worse. Reacts as though the screen was very dirty or my finger isn't contacting then screen completely. Interestingly, the freeze will sometimes stop when the iPad is changed from any angle to level. Also, sometimes if allot of finger pressure is used then the freeze is gone. 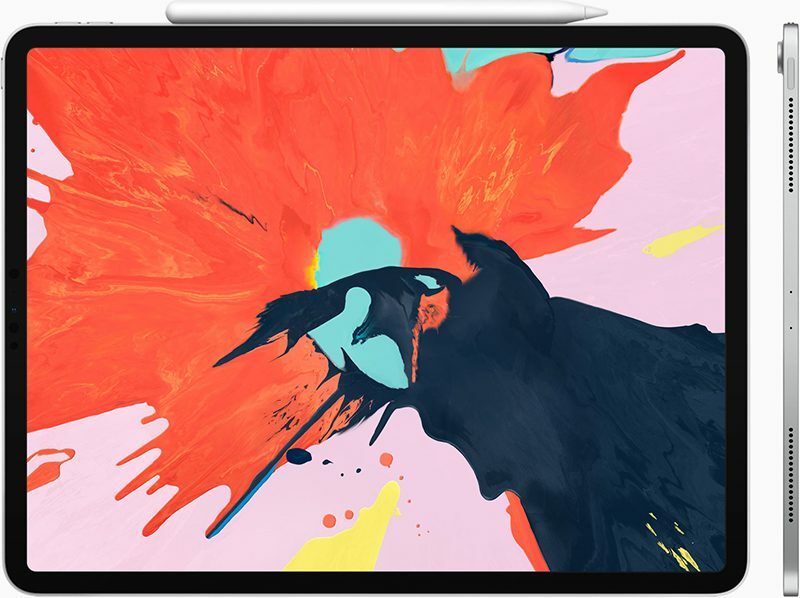 The problem appears to be primarily impacting new 2018 iPad Pro models, though there have also been complaints from some 2016 and 2017 iPad Pro owners. MacRumors reader Roger, who let us know about the issue, says that after approximately a month, his 2018 iPad Pro had issues with scrolling and wouldn't register input. He was able to get a replacement, as were many other customers who have experienced this issue, but he said that the replacement model has also been exhibiting the same issues. It's not clear if this is a software or a hardware issue, and there are certainly many 2017 and 2018 iPad Pro models out there that have no problems like this at all, which makes it difficult to determine what's going on. Some of the issues with the 2017 model appear to have started with the release of iOS 11.3, but have persisted through software updates. Many users who are running iOS 12.2 are still reporting problems. Some users have noticed that the stuttering problem goes away on the 2018 models when the Apple Pencil 2 is attached to the iPad, perhaps suggestive of an Apple Pencil-related connectivity issue. On the whole, though, it's not clear what's causing issues for iPad Pro owners who are having touchscreen responsiveness problems. Anyone with an unresponsive touchscreen should bring it into an Apple Store or an Apple Authorized Repair Shop for service as some users have been able to get replacement units. Oh look, even the digital keyboards have issues now. Wow, what a technological feat; they found out how to digitize the butterfly mechanism! What did you expect at that price? A flawless product? Apple can't seem to do anything right anymore. Then when they are confronted about it, they offer a generic public statement and move on to the next thing. They can't even make quality products at this point. As I've often said in recent months...a shell of their former selves. I wish someone would just dethrone this POS company already. It's not on the level it should be for the premiums they charge over their active competition, they need to be taught a lesson, once and for all. I had this issue and apple replaced mine for me. New one works perfect so far. The key word is "so far". It is unfortunate that Apple products have declined in quality over the years. Apple has determined that a small percentage of displays in certain iPad Pro models may exhibit this behavior. Well blow me. It is a computer after all! I’m Roger. The guy who emailed Juli. It was my last resort. There are so many of us on forums who have been going through these issues and until it happens in the store, even with video evidence, Apple wouldn’t admit to the problem. I replaced my Mac with an iPad just how Apple asked me to, but I couldn’t get work done. At all. I’m lucky I had AppleCare and had the first unit replaced but this was after not being believed by the Genius Bar. I love Apple and actually felt bad reporting it but, we had no other option. This costs more than a MacBook Air and it’s unacceptable. I'm saving this quote for the next time a random number of, Samsung, Microsoft etc products have a slight flaw. Guys lighten up. Its normal. The screen is meant to stutter. That is a feature built in. Just like how its normal for ipads to bend. Look it up.